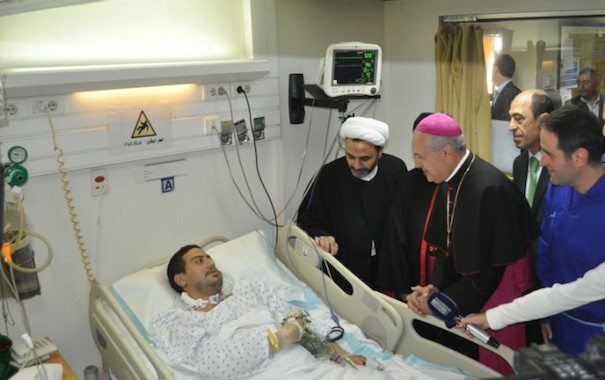 BEIRUT — Archbishop Gabriele Caccia, the Vatican nuncio to Lebanon, visited hospitalized victims of twin suicide bombings in Beirut and said Lebanon’s “message of coexistence” needs to be preserved, despite the crises the country is enduring. The Nov. 12 bombings in Beirut’s southern suburbs killed at least 46 people and wounded more than 200. 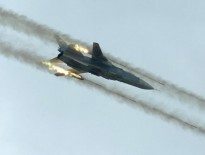 The attacks, for which Islamic State claimed credit, occurred a day before the terror attacks in Paris. 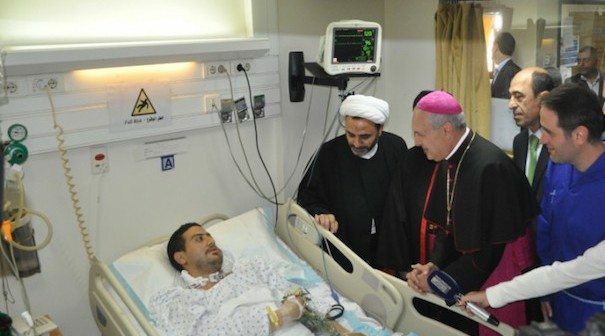 “We came here today to express our friendship and brotherhood to the injured in Beirut’s bombing,” Archbishop Caccia said Nov. 23, while visiting the wounded, all Muslim, in two hospitals. 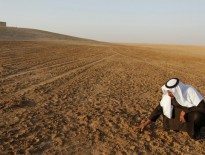 The tour was part of an outreach of union and solidarity with those injured in the attack, organized by the Lebanese religious order Mission de Vie (Mission of Life), devoted to serving the poorest of the poor in Lebanon. The nuncio was accompanied by Maronite Archbishop Paul Matar of Beirut; Father Wissam Maalouf, founder and superior of Mission of Life; men and women religious members of the order as well as volunteers. Mission of Life missionaries are easily recognized throughout Lebanon by their royal blue habits, with volunteers wearing T-shirts in the same color, affixed with the order’s logo depicting helping hands. Archbishop Caccia recently participated in one the group’s street missions.